mobileWOMEN.org: "Every Body: Glamour, Dateability, Sexuality & Disability"
"Every Body: Glamour, Dateability, Sexuality & Disability"
So pleased to be able to share my first TEDx talk with you all! I crafted my talk with every person that I know with a disability, at the forefront of my mind. My talk titled "Every Body: Glamour, Dateability, Sexuality & Disability," addresses a topic that desperately needs recognition and improvement. I wanted to speak to society as a whole that, if they integrate people with disabilities into the existing sexual and romantic culture, EVERYONE'S love life can improve! I explore a spectrum of issues, including social mores, ingrained stereotypes, and promotion of negative images of people with disabilities, which are inculcated and amplified by entertainment media and pop culture. In the talk, I develop my long-standing critique of the established fashion/beauty industries, and the mass media, who continue to exclude multi-billion dollar markets of people with disabilities. This TEDx talk is a continuation of the moment when I was a runway model during New York Fashion Week in February 2014, on behalf of women living with disabilities. I am honored to do this work for the benefit of, if not us, our next generation. Please preview the TEDx talk by clicking on the links below! After snagging the title “Ms. Wheelchair NY 2012,” Sheypuk found herself in demand from a variety of media focused on her particular area of expertise – the psychology of dating, relationships and sexuality among the disabled community. 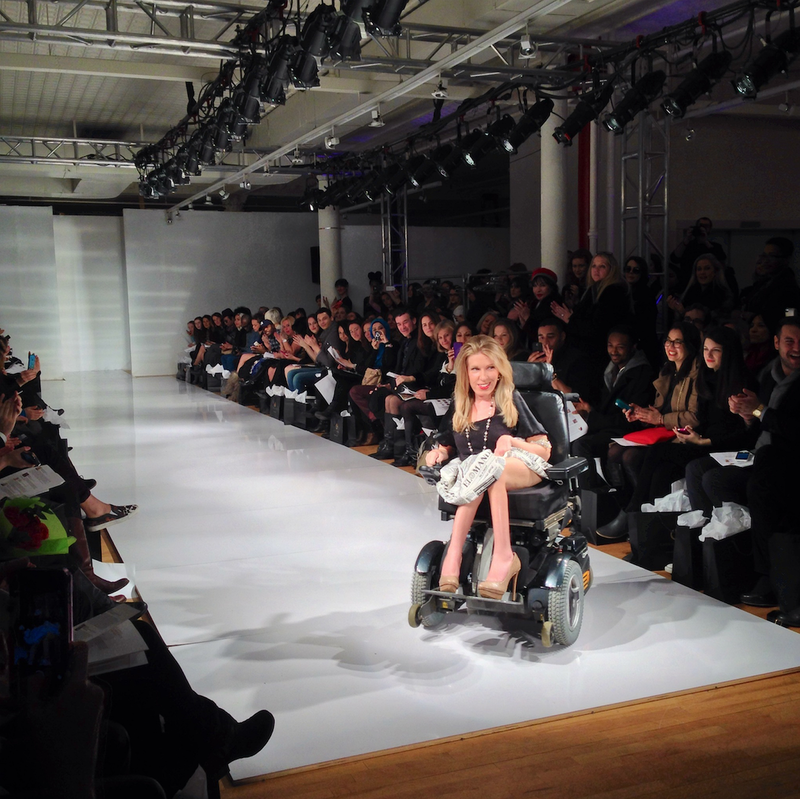 Her "walk" down the runway as a model during the February 2014 New York Fashion Week has been termed by some as a "Rosa Parks moment" on behalf of women living with disabilities. Danielle Sheypuk holds a Ph.D. in Clinical Psychology (2009).